Cook pasta according to packet and set aside. Prep and steam the 5 vegetables until soft. Place in blender with butter, milk, tomato paste and spices and puree until a smooth creamy sauce. Add the sauce to the cooked pasta and stir through the cheese. Serve and top with crushed walnuts. Optional: I added a large tin of tuna to mine for some protein and it was delicious. Just an option! Otherwise chicken or bacon all the way! 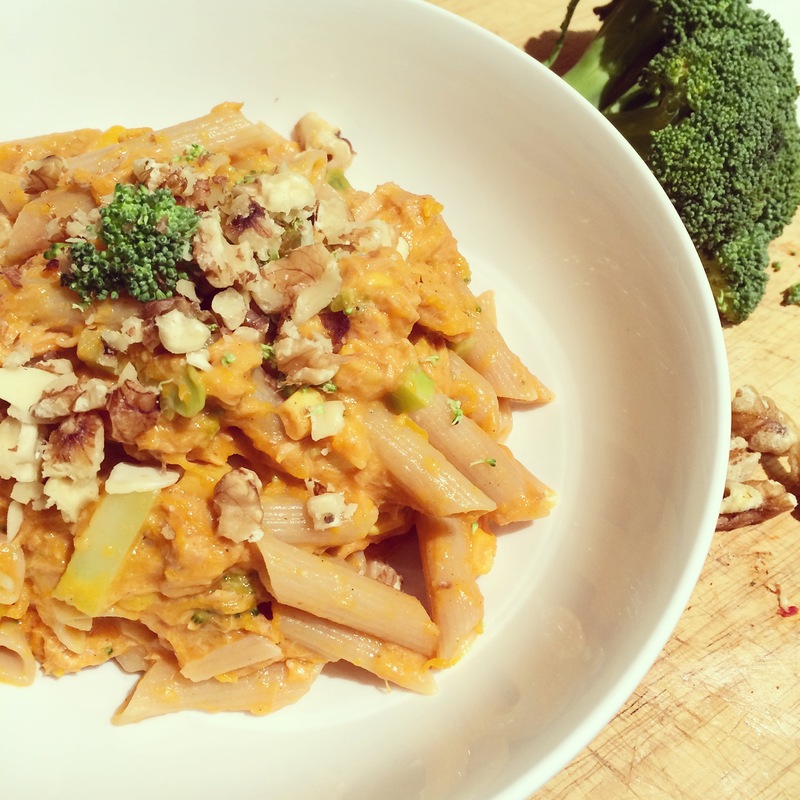 It tastes like burnt butter pumpkin and walnut pasta minus the effort and calories – oh and packed with vegetables.